Successfully executing a school or university move takes a lot of planning and coordination. 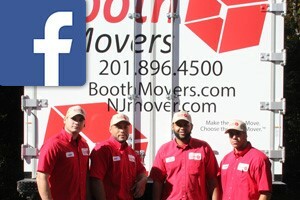 You can trust Booth Movers to handle every stage of your relocation! Our New Jersey school moving company has specialized equipment and the most highly trained staff in the industry to guarantee your New Jersey university moving services are carried out efficiently and professionally! For decades, our experienced New Jersey school movers have been assisting with commercial and educational relocations throughout Bergen County and beyond. As members of both the American Moving & Storage Association and the New Jersey Warehousemen & Movers Association, our New Jersey school moving company is dedicated to providing the best in New Jersey school moving services. Whether you need to relocate school items during remodeling or are planning a full-service university move, our BBB-accredited New Jersey university movers have you covered! Quality service and exceptional customer support have always been the founding pillars of our New Jersey school moving company. With free, on-site written estimates, comprehensive support throughout the relocation process, and full-service commercial moving services, our first priority is to make your school or university move a seamless experience from start to finish. Commercial Movers – When you need a team of professionals to keep the costs of your commercial relocation low and minimize downtime, there is no better choice than the experts at Booth Movers! Employee Relocation – Helping businesses and universities keep their employee relocations on schedule and on budget is one of the specialties of our New Jersey moving company! For more information about the premier choice among New Jersey school moving companies, give Booth Movers a call or fill out our online form today! One of our expert moving coordinators will be happy to answer any questions regarding our New Jersey university moving services and set you up for a free estimate!